Ola people! Eh he he.. I have been collecting lippies these days and I realized I've been updating my post with lots of them! I'm going to take a break from feeding you guys with the lippies, and start sharing other products that make me go ga-ga. 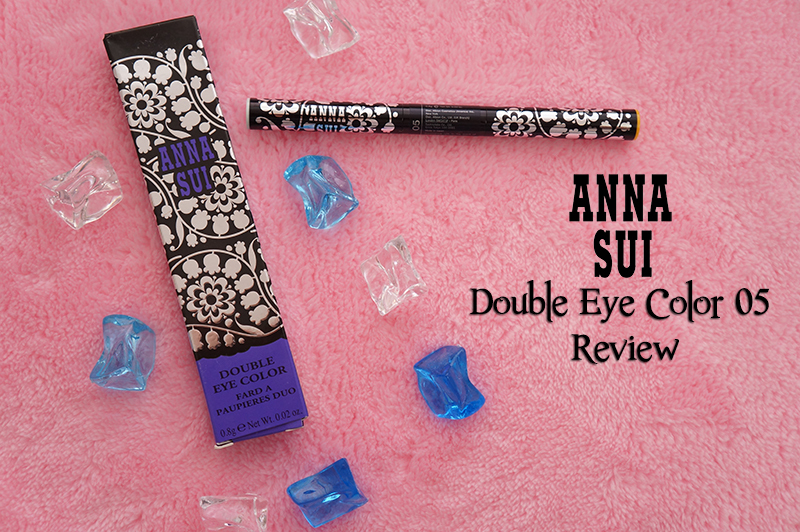 Allow me to introduce this eye shadow pen: the Anna Sui Double Eye Color. I bought this for only RM 20 from a warehouse sale. Well, worth every penny spent because it has two vibrant colors and both of them are suitable for most occasions. 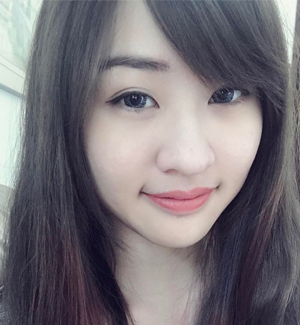 Friendly Reminder: Click the images for larger views. As usual, Anna Sui with her signature flowery design on the packaging. The colors of the eye shadow are indicated on the back of the covers. 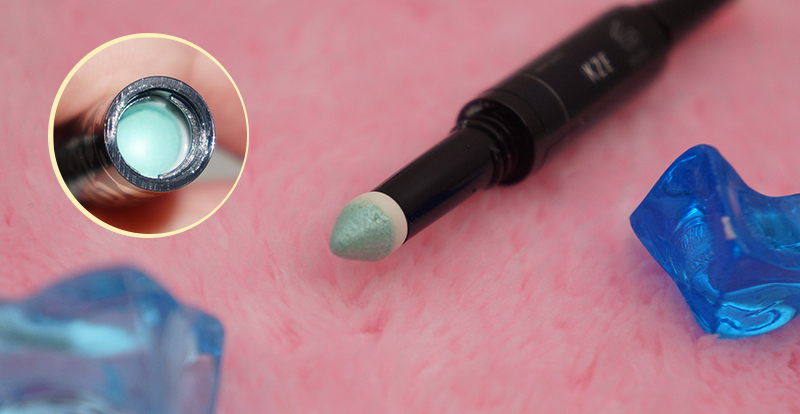 This is a dual-ended eye shadow designed in a pen shape. 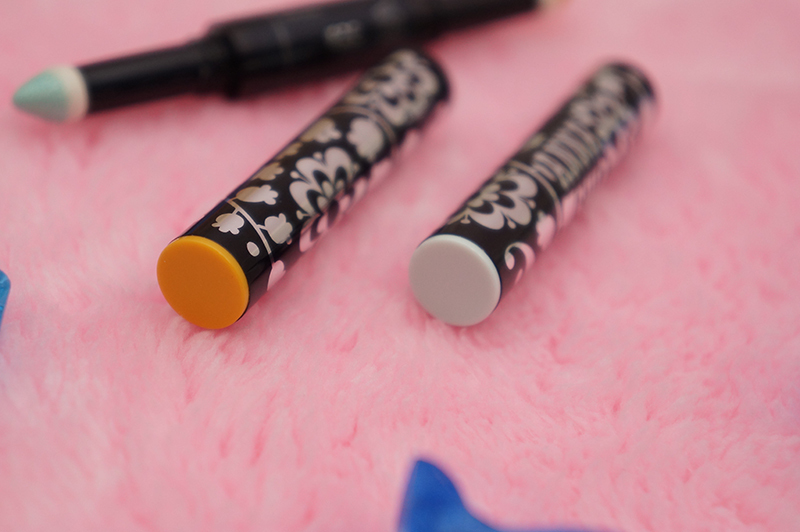 The pointy tip allows you to draw eyeliner or eye shadow precisely. I like this innovation because this is so convenient to bring around! The eye shadows are designed to store within the cover and works similarly to a brush, use the pointy tip and "dap" the eye shadow. 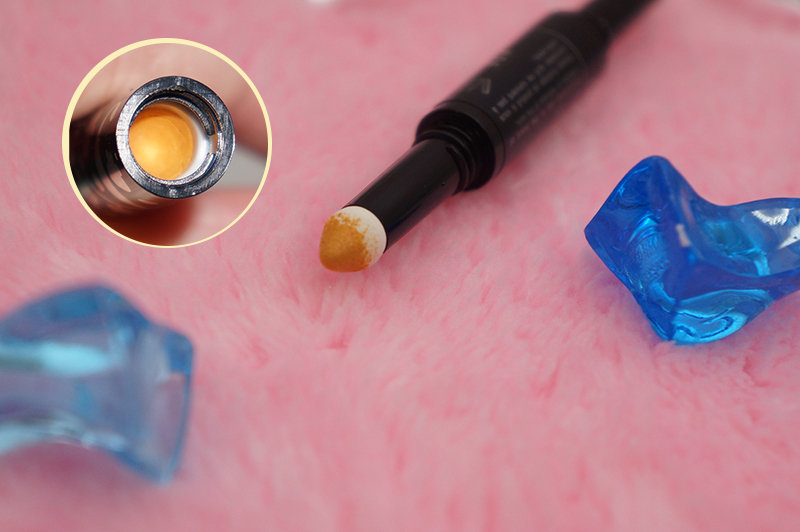 Repeat the steps mentioned if you need more pigmentation. 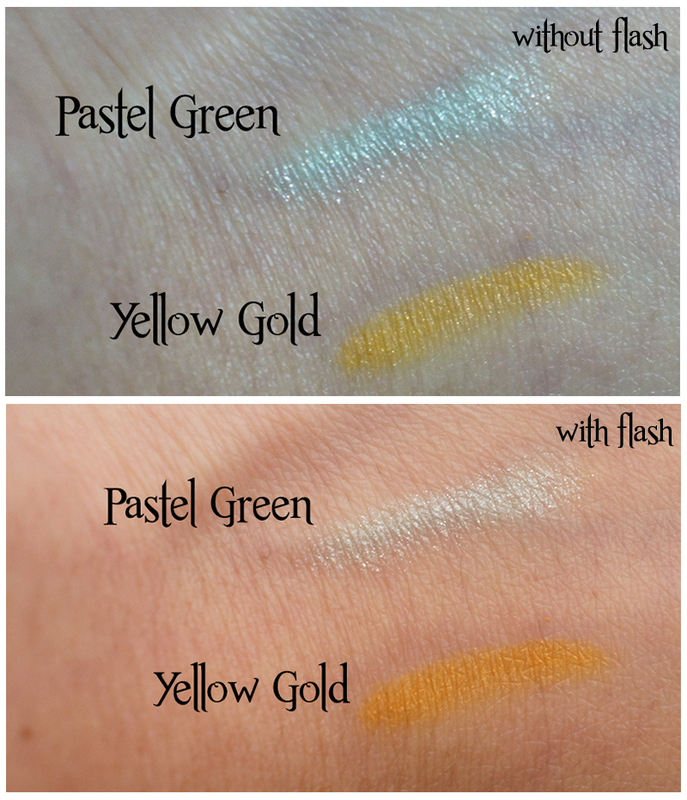 Here is a comparison of Pastel Green and Yellow Goldon the back of my hand. The first image captured the colors without camera flash while the other one was captured with camera flash. 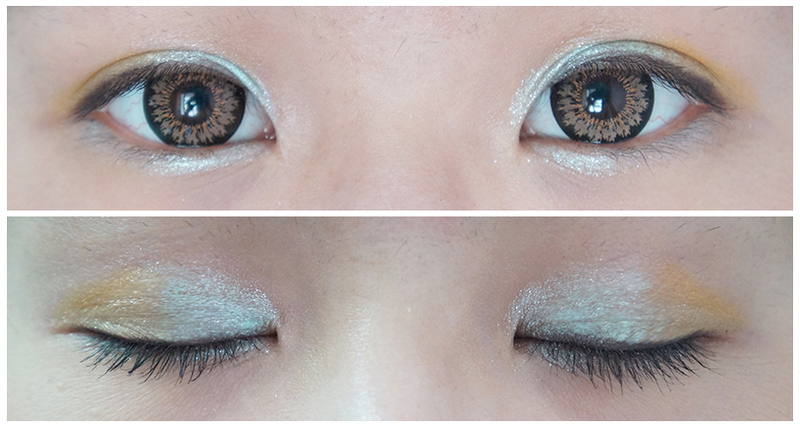 Both of them has shimmer and are obvious under natural lighting. Pardon me for not blending the colors well. 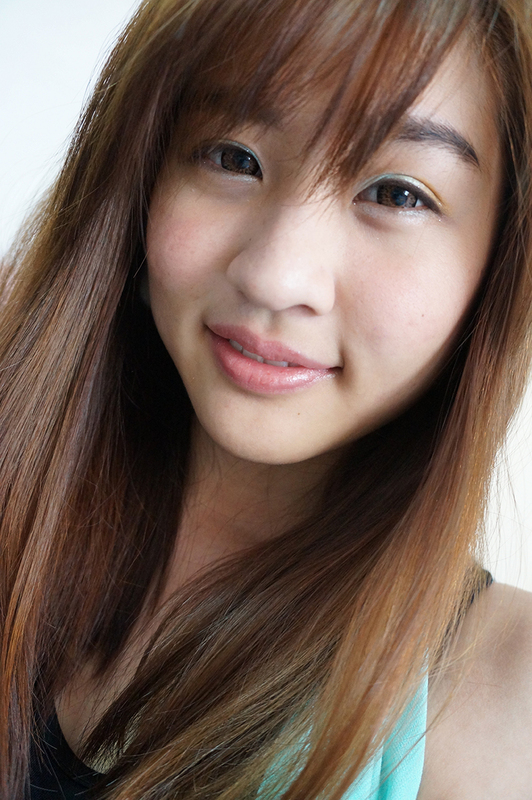 The inner corner of the eyes were using the Pastel Green while the other corner of the eyes were in Yellow Gold. They are easy to be removed with oil-based eye remover. I really like the Pastel Green shade on the skin because it looks so girlish and shimmery. I would say this is a pretty color for a romantic date look. The Yellow Gold shade pops out the look even more and to be honest, I personally think this is a good combination of eye shadows. The only drawback is I will need to use a separate brush in order to blend the colors evenly on the eyelids. This is a very convenient eye shadow that I would want to bring around with me. I will purchase this in a warehouse sale but not with its original price. This eye shadow is quite pricey and I would prefer to go for a eye shadow palette. But if you are a Anna Sui fan, go ahead and get this for your beauty stash. Nice purchase! :D The pastel green is really pretty, and surprisingly it goes well with the yellow shade. Thank you! I am surprised with the combination as well. Never thought the green and yellow can pair so well.